"Gandrs" offers different types of carabiners, fit for both beginners and professionals. 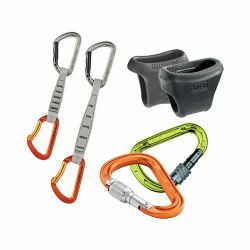 Carabiners can be selected by their application, material and shape; we also sell universal and specialized carabiners. 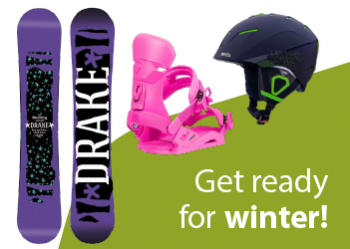 Fall arrest devices guarantee safe movements along the safety rope, allowing you to climb without obstacles. In the event of a fall an automatic blocking of the rope happens, and your fall is stopped. 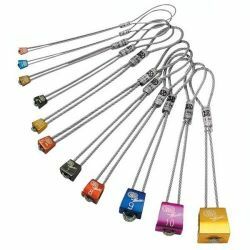 This section lists cams, stoppers, hexes and pitons designed for rock climbing and creating safe points. 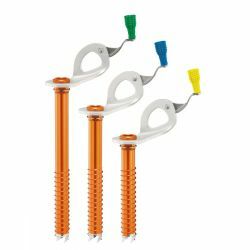 All types of equipment for creating safe points while rock climbing, ice climbing or mountaineering. 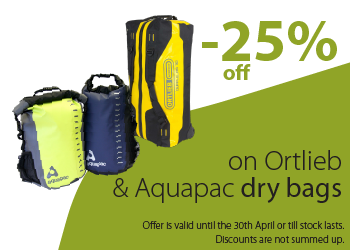 Professional rescue and evacuation kits for various emergency situations in complicated conditions. 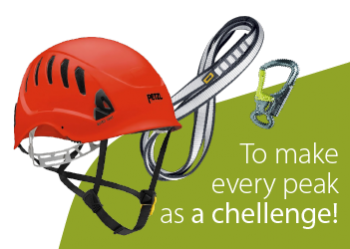 We have a huge range of top-quality climbing equipment, all of which we sell at the best possible prices. 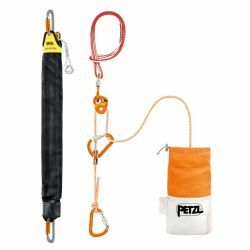 To stay safe, climbers will need the necessary carabiners and connectors, belay devices and descenders, ascenders and rope clamps, pulleys, mobile fall arrest devices and energy, cams, stoppers, hexes, anchors, pitons, ice screws, all of which they can pick up at "Gandrs" stores. 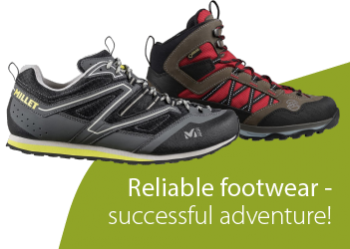 We also have a fantastic selection of climbing shoes specially designed for scaling rocks. 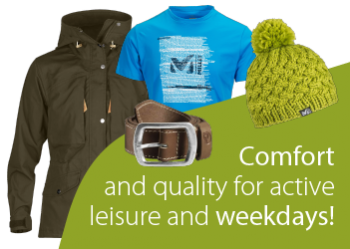 Climbers in our shops will find everything they need to head out on a new and challenging adventure. 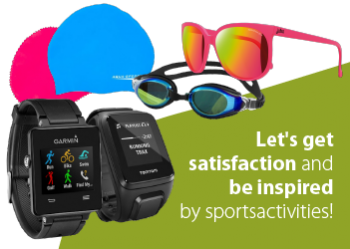 All kinds of climbing devices in "Gandrs" – choose the best and stay safe at all times.